Some things go hand in hand - strawberries and cream, buckets and spades, bangers and mash... but Marmite and peanut butter? Yep - we're slightly surprised to let you know that Marmite has launched a new spread that combines its classic flavour with peanut butter. 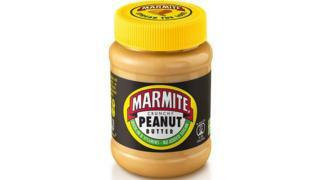 "The British public asked, and we listened," said Camilla Williamson, brand manager at Marmite. "It's the most exciting product launch since Marmite began in 1902", she added. We aren't quite so sure and Marmite lovers and haters alike quickly took to social media to share their thoughts on the concoction. "This is more controversial than Brexit!" commented one user. "I love Marmite. I love Peanut Butter. Together they are either an April Fool or an Abomination", said another. We want to know whether you will be getting your toast at the ready or whether you'll be avoiding the supermarkets? Let us know in our poll or in the comments below.